Find car insurance coverages and discounts in your state to get a policy that meets your unique needs and budget. 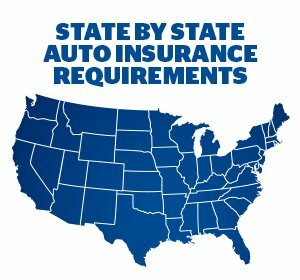 Get state-by-state information on affordable auto insurance coverage and benefits from Freeway Insurance. Liability coverage in New York is a requirement. If your car is registered with the NY DMV (Department of Motor Vehicles), then your insurance must meet the New York liability coverage minimums. Learn more about car insurance New York requirements. Nevada is known for its 24/7 lifestyle and the world famous Las Vegas strip. Every driver in Nevada must have an insurance policy that meets the following minimum requirements, whether the vehicle is used or not. Continue reading about minimum requirements for Nevada car insurance. Arizona motorists face unique challenges that drivers in other parts of the country seldom experience, including raging flash floods that race across the desert floor and quick-moving dust storms that completely obscure visibility. What Arizona does share with every other state, is having the legal responsibility to have required car insurance coverage. Get the details about Arizona car insurance coverage. Everything’s bigger in Texas – including the severe weather awareness events that occur throughout the year. Whether you’re heading to visit The Alamo in San Antonio or the beach at Corpus Christi, you should stay informed of sudden weather extremes when planning travel on Texas highways. Find out how to prepare for severe weather conditions with proper Texas car insurance coverage. With a population of almost three million, Chicago’s streets are packed with large volumes of traffic. Compare that to the scenic countryside where you need to be on the lookout for farm animals suddenly in the middle of the road. Wherever you travel through the Land of Lincoln, it’s a good idea to be prepared for the unexpected by having proper car insurance coverage. Here are some facts about Illinois car insurance. California imposes stiff penalties for a lapse in auto insurance coverage. The court may impound your car and hold it until you are able to show proof of insurance coverage. If you are pulled over without proof of car insurance or any other form of financial responsibility, you may face fines. Learn more about penalties for driving without car insurance in California and other car insurance California facts. Since 2008, Florida has had a no-fault auto insurance system which protects motorists from being sued after an accident (in most cases). With this law came the requirement that Florida drivers hold a minimum of $10,000 worth of personal injury protection coverage. Read more state-specific details about car insurance in Florida.